Sagina and Maurice made it to their wedding day! Whoo! Why is this so exciting? Cause Maurice was stuck at home in Ireland for 9 months waiting to get over here and marry his beautiful bride. They finally got the go ahead but then only had one month to tie the knot! I’m so glad I was available for this last minute Portland wedding and it couldn’t have been more special. 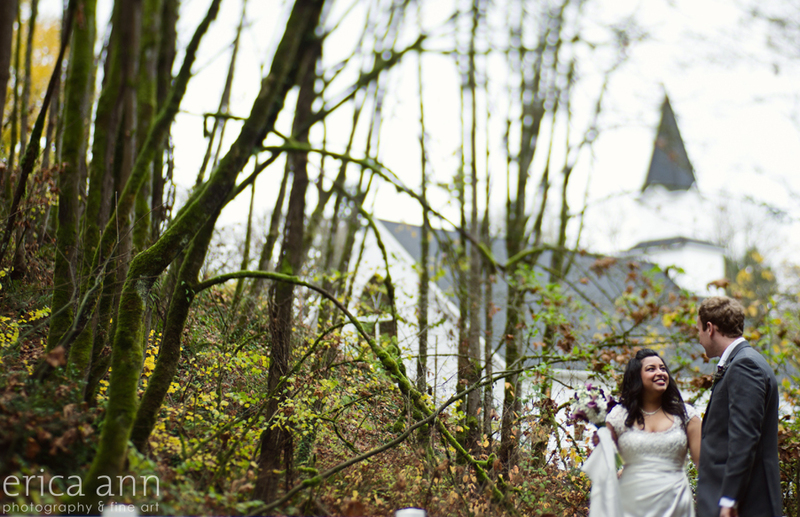 They were married at the Abernethy Chapel in Oregon City – a perfect venue for a small winter wedding. Portland Art Museum Wedding Sneak Peek! 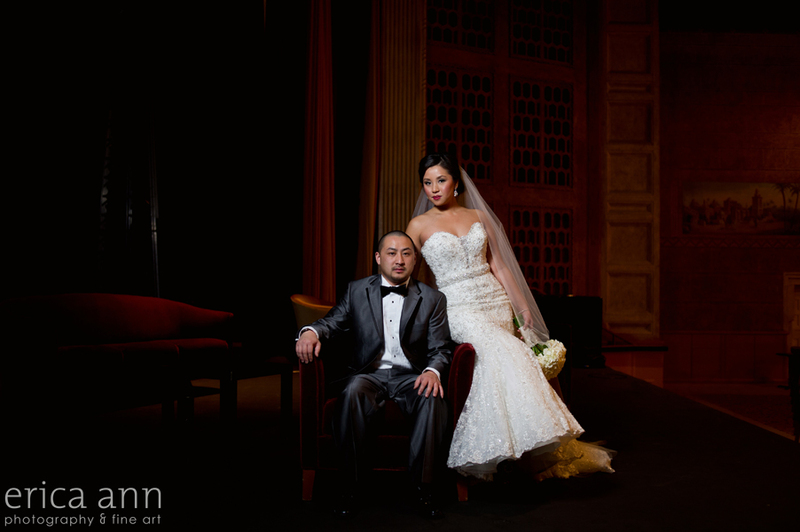 Wow, Meuy and Nai’s wedding at the Portland Art Museum was absolutely phenomenal to photograph! These two have wonderful taste for just the right amount of glam, sparkle and sophistication. This was a high fashion wedding that no one will soon forget. Above is a wedding portrait of the couple that we snagged before the ceremony onstage in the Kridel Grand Ballroom. More coming soon! Boudoir Bellydance – What could be better? I recently had my first opportunity to photograph a bellydancer at my last boudoir marathon! Wow, what a treat. Ms. K definitely has a flair for drama and knows how to rock her angles! Dancers and athletes of any kind are always so much fun to photograph – especially boudoir and beauty photography! 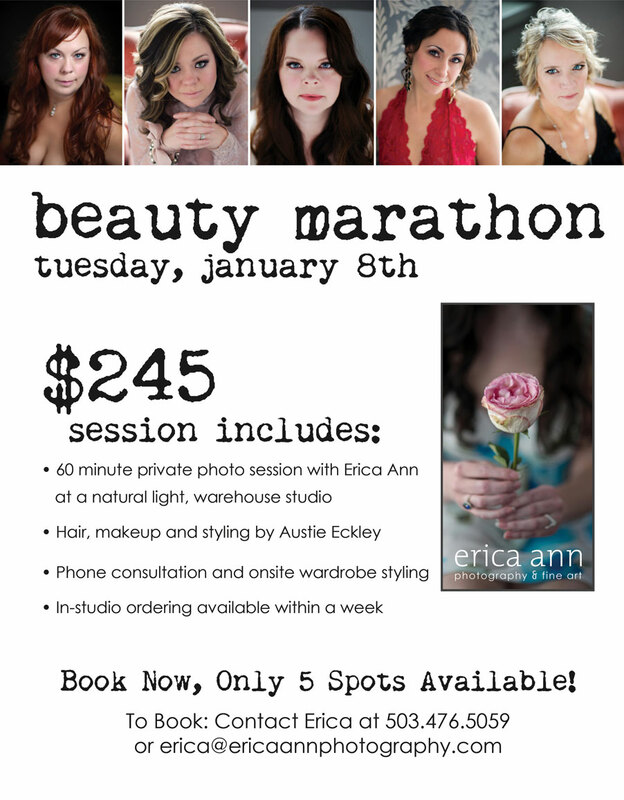 We will be doing our next boudoir marathon at a downtown Portland warehouse studio. This is a gorgeously raw setting with beautiful natural light simple decor. Together we will make sure you look and feel absolutely radiant!